Discover eight reasons why an app idea may succeed with this colorful, one-page sketch note PDF poster. 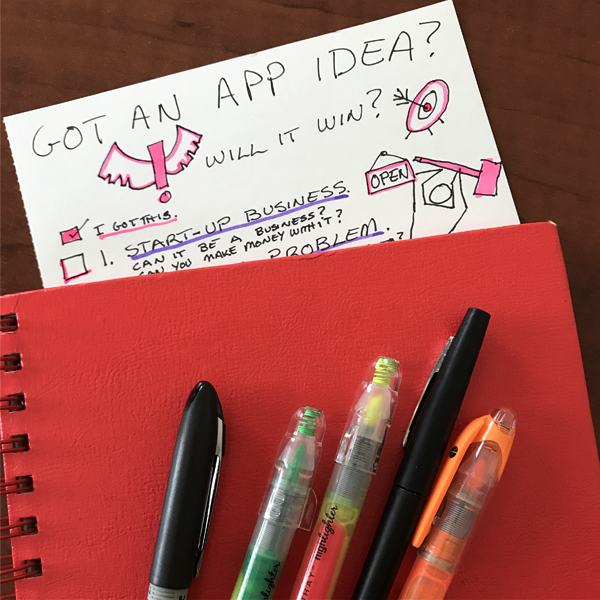 Does your idea have all eight? Sign up below to join our email list and receive the free, one-page sketch note PDF poster. Check your email for instructions on how to download and open the file. Note that we value your privacy and do not share or sell our lists.